(via Scoop)Despite the doom and gloom of the current recession, comics folk continue to invest in the future of our industry. Britain's newest comic shop, Dead Universe Comics, opens today, Saturday, 10th December at 9.00am. 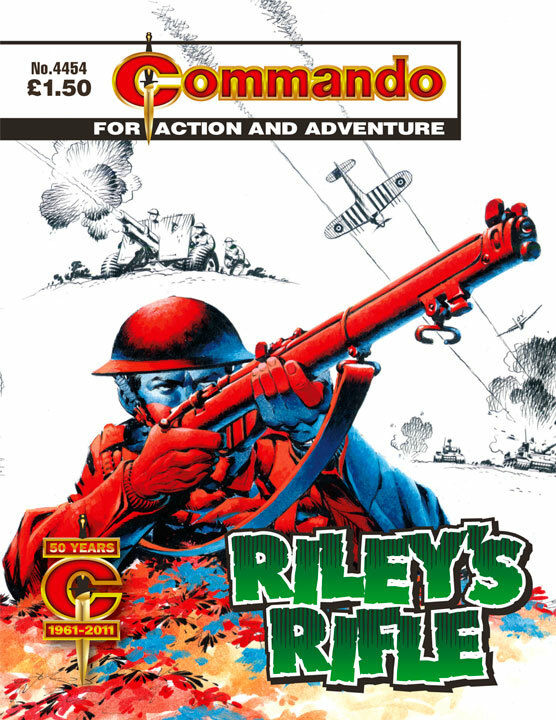 The store, which is located at Unit 9, the Cloisters, Friars Square Shopping Centre, HP20 2PU, Aylesbury, already has an inventory of 50,000 back issues, …”mainly US, but with a sprinkle of UK comics from the 1970s and '80s including annuals,” and they carry new import issues every week. 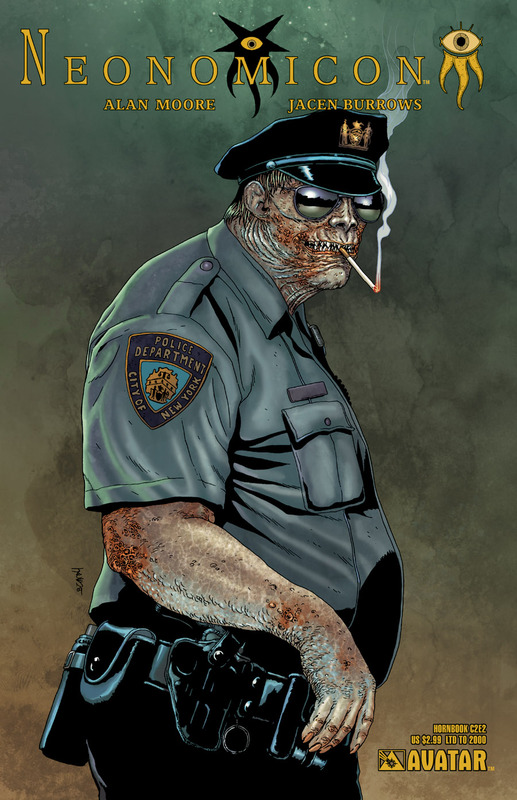 For more information you can email deaduniversecomicsAThotmail.co.uk or phone 07847 542 714 or 07518 694 966. Their website is being developed, but their eBay store has been up and running for quite a while at http://stores.ebay.co.uk/Dead-Universe-Comics. Store hours will be Monday – Saturday, 9.00 am to 5.30 pm, and Sunday from 10.30 am to 4.30 pm. 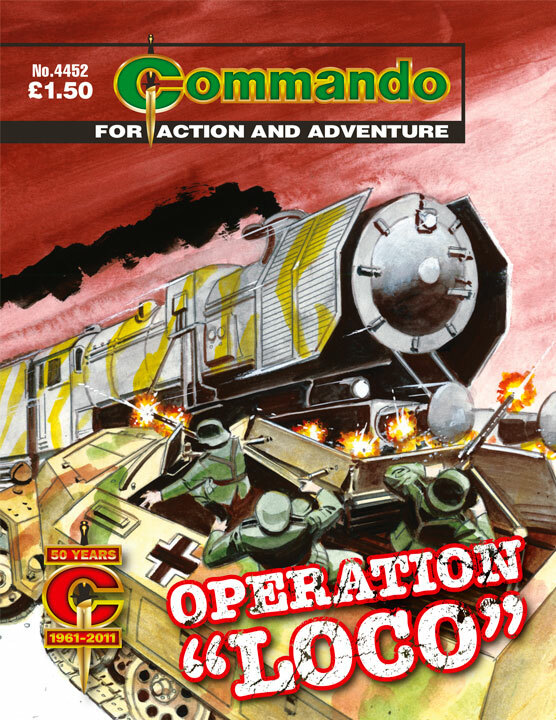 As Commando's Golden Anniversary year draws to an end, the reprint that everyone has been waiting for, Issue 1 Walk - Or Die!, is published just in time for Christmas. 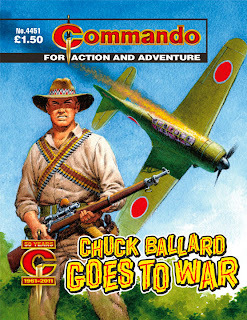 Also included in this batch of four Commandos is Chuck Ballard Goes To War, the penultimate story written by Norman Adams who passed away in August of this year. 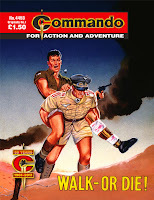 Norman was known to Commando readers for his creation of the Headline Heroes and the Phantom (with artist Keith Page) amongst others. 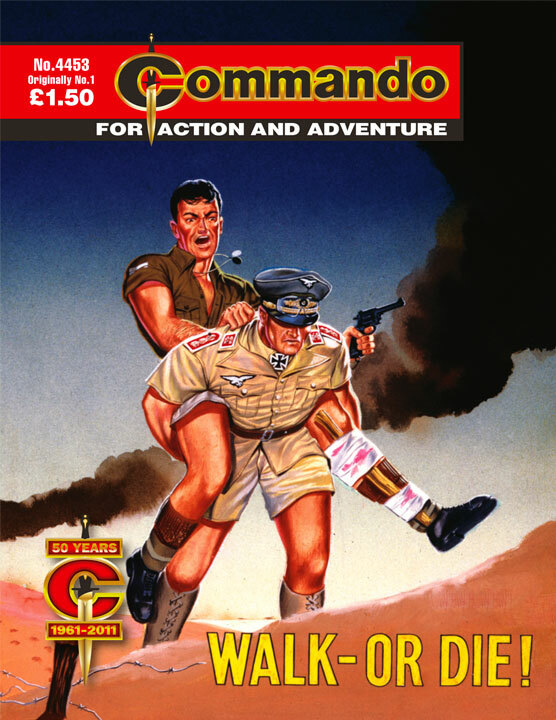 Editor Calum Laird said, "Norman is sadly missed by everyone on the Commando Team, past and present, an I’m sure that goes for Commando’s readers too." There are more details of Norman's stories on the Commando website and there is an obituary about him on The Scotsman website. James Bailey was a railwayman like his father before him. In charge of the most powerful steam locomotives he could drive anything, anywhere, any time. He was the obvious choice when a special job came in to his depot. Would it be a VIP run to London? Or maybe a vital troop train to the coast? How about a Commando raid behind enemy lines? 4453: Walk — Or Die! CORPORAL TOM GERRARD of the Royal Tank Corps was just an ordinary bloke, easy-going and cheerful. It was a rifle like countless others, standard issue to thousands upon thousands of men in the British Army in two World Wars — a Lee-Enfield No.1 Mark III. Millions of them were made. Some are still in use today. But there was something special about this particular rifle — it was as if it had a life of its own, a will of its own. It seemed to want to do things by itself… and what it wanted most was vengeance! 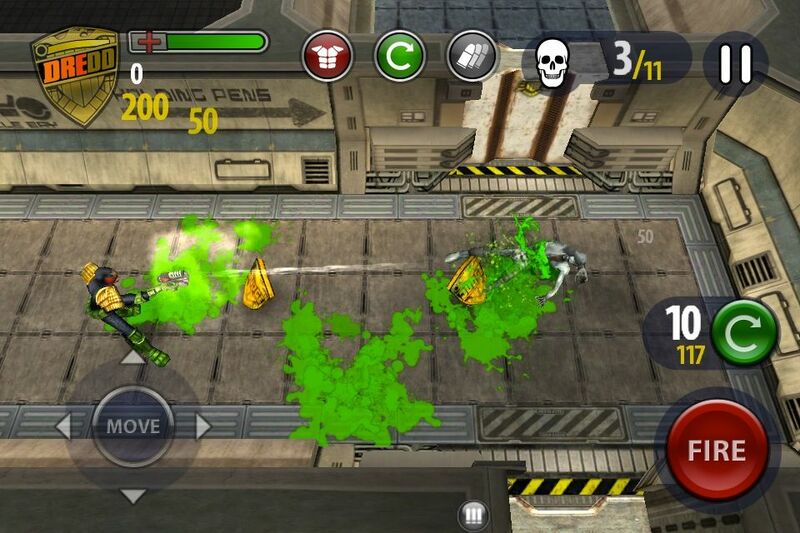 Commando is also available for iPad and iPhone. The apps are free to download through the Apple iTunes App Store and a digital subscription is priced at £4.99 per month, compared to a £99 annual print subscription. For those not sure there are four free issues to download prior to making a purchase. 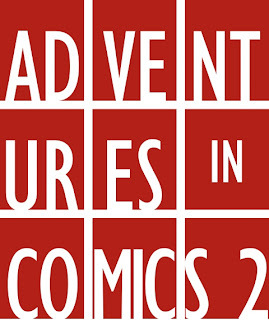 After the huge success of Adventures in Comics 2011 organised by Marine Studios in Margate, the gallery will launch Adventures in Comics 2 on 3rd February 2012. The gallery hopes to bring comic lovers an amazing exhibition and a host of events, discussions and comics related goings on. To kick things off they are again inviting comic creators to respond to their two-page-comic-challenge. The task is simple: create a two-page-comic under this year’s theme: ‘LIFE BOAT’. All ideas are welcome to inspire, amuse, terrify and entertain. There are no limits other than sticking to the 2 page rule (200 x 280 mm each page, in either portrait or landscape), and of course, don’t forget the ‘Life Boat‘. This year’s entries will be judged by comic expert Paul Gravett and the gallery say their will be a prize or two for the top entries. "We’ll be keeping you updated with news of talks, workshops and events that will take place over February 2012," say Kam and Rick, "and previewing Life Boat entries so keep glued to the AIC2 blog." Including the first UK screening of Todd Kent's film Comic Book Literacy (which was Best Documentary Winner at Phoenix Comicon 2010) and additional speakers tbc. There is an increased interest in using and teaching the comics medium in schools, colleges and universities. There is also an increasing use of comics in support of other areas of the school curriculum. However, there are also many challenges for teachers regarding how to use and teach comics in the context of schools and they often have to contend with continuing perceptions of the medium as problematic. Reading for pleasure is a key aspect of the increased use of the medium in school settings and libraries are often instrumental in initiating reading groups. Adaptations seem to saturate the mass media and this conference will examine recent debates focusing on comics. The most prevalent comics adaptations are those of the superhero; whose emphasis on spectacle and special effects seem especially attractive to film and television companies. However, in her Theory of Adaptation, Linda Hutcheon proposes we think beyond the originality of an adaptation and instead regard adaptation as a central issue within storytelling. The adaptation can then be located within the contexts of its production, reception, and the constraints and possibilities of media forms. This conference aims to take the debate beyond superhero movies by focusing on other genres and media and examining some of the more unusual aspects of adaptation. After months of deliberation, tears and tribulations (and a lot of reading), eight books have been selected and the Shortlist for the 2012 Stan Lee Excelsior Award have now been revealed. The titles include just one British title - the stunning Wuthering Heights from Classical Comics, which was drawn by John M. Burns (read our review), but some British creators also get a nod as creators of some of the books. "FF" picks up Jonathan Hickman's run on Marvel's first family after the death of the Human Torch. The group is rebranded as the Future Foundation, and lots of newbies join the team, no longer restricted to just four members, including Spider-Man. Follow the journey of Marineman from celebrated marine biologist and TV presenter to sea-breathing marine superhero as Ian (Hulk, Supergirl) Churchill's critically-acclaimed Marineman series is collected into one feature-filled volume packed with bonus material and a foreword by industry legend and Watchmen co-creator, Dave Gibbons. In an ancient age, when gods and goddesses walked with mortals... ...Sita is the kind-hearted and intelligent princess of the kingdom of Videha. Married to Rama, prince of Ayodhya, her journey in life takes her from exhilaration to anguish... Along the way, she has to leave behind the luxury of royal comforts and live the simple, harsh life of a forest dweller where lurking in every shadow is danger... Ensnared in the evil plans of the wicked demon-king Ravana, Sita is abducted and hidden away in Lanka. Will Rama muster up a strong army to rescue Sita from the demon’s clutches? Will Sita return to Ayodhya to become queen of the land... or is she destined to be mistrusted and live alone for the rest of her life? Adapted from the ancient Indian epic, the Ramayana, this is a touching tale of love, honour, and sacrifice that reveals one woman’s shining strength in an unforgiving world. This title presents the full story in quick modern English for a fast-paced read! Emily Bronte's only novel is famous the world over - not least because of Kate Bush's 1978 'tribute song' - but don't let that trivialise this masterpiece of classical literature. Hardship, insanity, cruelty, frustrated love, and ghosts; what more could you want from a book? To see the shortlist for yourself, please visit the official website's 'Shortlist 2012' page - click the covers for more details from the publisher's web site. 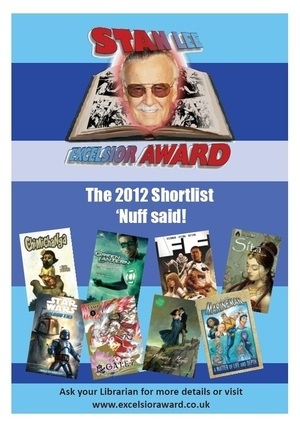 Other new features on the Excelsior website include Russell Wall's and James Guy's terrific promotional trailer for the shortlist (www.excelsioraward.co.uk) and the new 'Resources' section which currently features a variety of award posters which can be downloaded as PDF files and printed out for use in libraries or bookstores. The 2011 issue of Paul Scott's yearly Omnivistascope has been released. Model VII continues the A4 science-fiction anthology format of the previous issues and comes in at a whopping 114 pages, the longest issue of OVS yet. 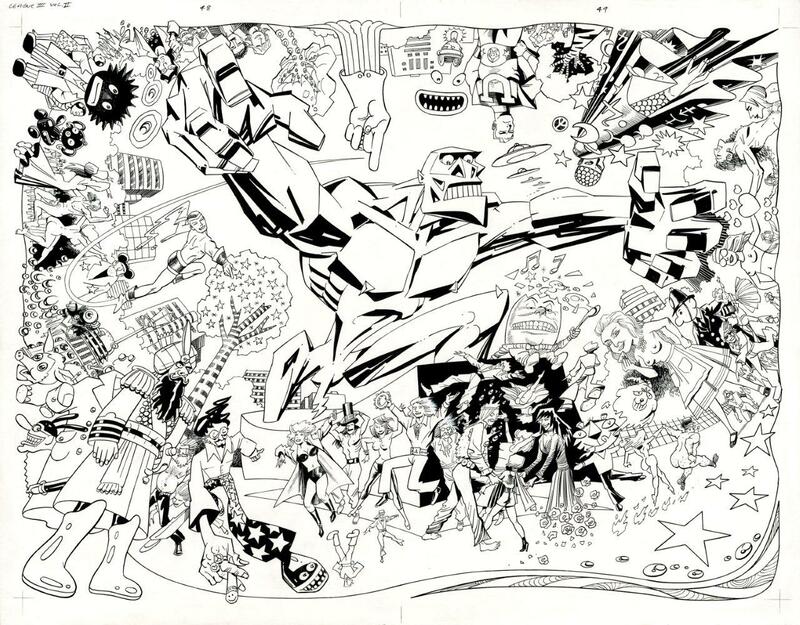 Behind the wraparound cover by Matt Herbert are the variety of comic strips that we have come to expect of OVS, virtually all written by Paul Scott. 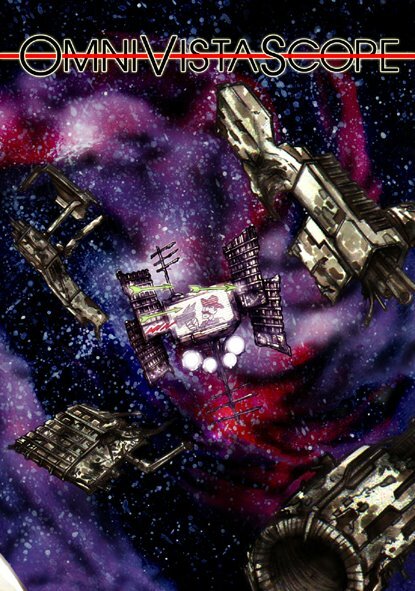 Dirk Despair returns in three different stories with art by Chris Geary, Space Lord gets two stories with art by David Goodman, while Keenan Jask also returns with art by Leigh Shepard. Paul continues his affectionate send up the photo stories of the early 1980s Eagle comic with a three part trilogy about his consulting magician Warlock Holmes (and the Amazing Dr Wizard TM). In addition there are a number of text articles covering everything from BBC TV's Artemis 81 to Alan Frank's 1970s Sci-Fi Now book. Omnivistascope Model 7 is a 114 page, perfect bound A4 book with colour cover and monochrome interiors. Cost is £5 and it is available via Paypal on the Omnivistascope website. Paul Scott will be selling Omnivistascope at the Canny Comic Con in Newcastle this Saturday, 10 December 2011. (Cross-posted with permission from Bring Back Bunty): The Beano and The Dandy have recently become available as iPad/iPhone apps (see news story) and these have the potential to be a great format for children’s comics -- so we just had to check them out. We downloaded them both through the Newsstand on an iPad and as you'd expect, the comics looked great. The format displays the strips really well, the navigation is simple and each comic is very easy to access through an iTunes account. The two apps are virtually identical but we weren't entirely sure of the pricing system; The Beano is clearly priced at £1.49 per issue but a couple of issues of The Dandy are priced at 69p with the rest at £1.49 – there are also a few free copies of each available to get you started. "They were slightly hard to read. I had to zoom in and the zoom sometimes is hard to move around. "I would say it wasn’t as good as it could have been. It’s not as good as actually reading and holding a comic!" Overall, the digital versions are handy to have but we had hoped there would be some reduction for the digital issues compared to the paper ones. In newsagents, The Beano costs £1.50 and The Dandy £1.99 (prices accurate 7th December 2011) so there is very little difference. Pricing the iPad versions at just one penny (or 50p) less than the paper comic doesn’t seem enough of a saving, or a reason to buy, the digital version over the real in-your-hand, under-the-bed, read-anywhere, traditional paper version. Continuing the Panel Borders radio show's month of shows about H.P. Lovecraft, Alex Fitch talks to Alan Moore about his final graphic novel that isn't part of the continuing League of Extraordinary Gentlemen narrative - Neonomicon - which has been published, along with its prequel The Courtyard, as a graphic novel by Avatar Press. 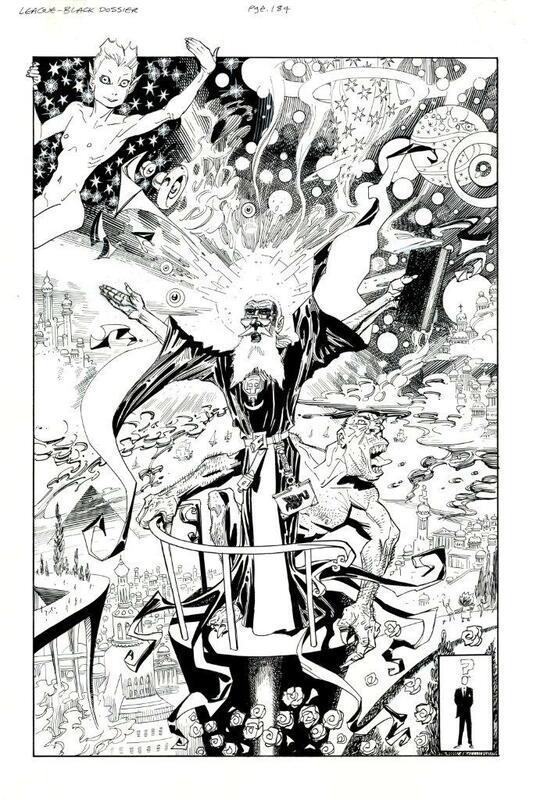 Both comics follow on from Lovecraft's tale 'The Horror at Red Hook' and Alan discusses why he chose that story in particular to explore further, plus the origins of The Courtyard in an abandoned short story collection called 'Yuggoth Cultures', and examples of Lovecraftian imagery in his League of Extraordinary Gentlemen saga. Neonomicon is the full-colour sequel to The Courtyard, with original series artist Jacen Burrows providing art, in which Alan Moore takes his re-invention of HP Lovecraft mythos to new levels of madness as investigators look into what happened to legendary FBI man Aldo Sax. The path it leads them down is one of the most intense and disturbing works Moore has ever written. 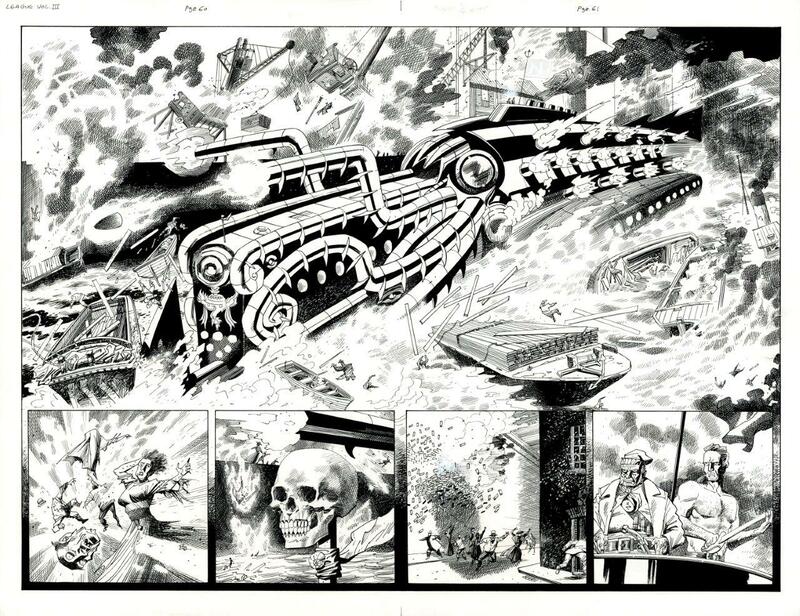 Break out the balloons, paper plates and the party poppers – it’s 2000AD’s birthday! The Galaxy’s Greatest Comic is celebrating three and a half decades of Thrill-power at the SFX Weekender event in February 2012, with its one and only official 35th birthday party! And what better way to mark this incredible moment in comics history than the legendary co-creators of classic characters Judge Dredd and Strontium Dog, John Wagner and Carlos Ezquerra, appearing together for the first time in years! 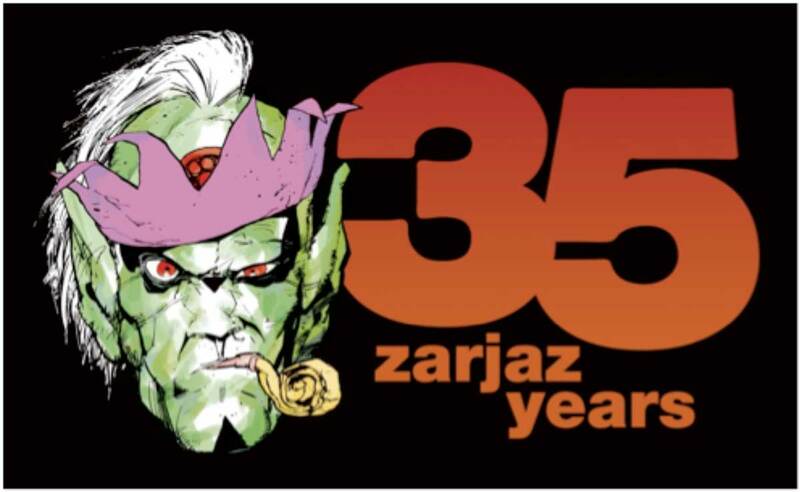 Along with a glittering array of galactic talent, there’ll also be a special Friday night bash, and the 2000AD team will be ensuring that the next 35 years gets off to a flying start with all the latest graphic novels plus giveaways and freebies! Back for a third year in 2012, the SFX Weekender, taking place at Prestatyn Sands holiday camp in Wales from 3-4 February 2012, will be packed with activities for fans: big-name guests, interviews, Q&A sessions, comic workshops, videogaming, music, book readings and plenty more. 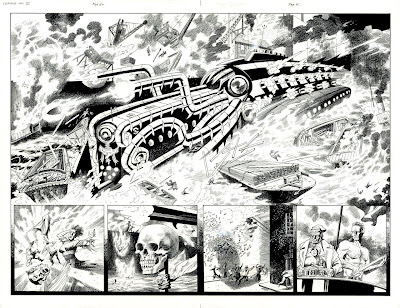 “It's an incredible achievement for any British comic to reach 35 years of continuous publication,” said 2000AD editor Matt Smith, “and the fact that 2000AD is still here is testament to the remarkable talents of the writers, artists, colourists, letterers, designers and editorial staff that have worked on it over the past three and a half decades – and, of course, to the loyal readership that continue to pick up the Galaxy's Greatest every week. "We're thrilled to be celebrating 2000AD's 35th anniversary at the SFX Weekender!” said Dave Bradley, editor of SFX. “The Galaxy's Greatest Comic has been incredibly influential through its history and remains a must-read – it makes sense to join up with the world's leading sci-fi mag for a fan-filled party. 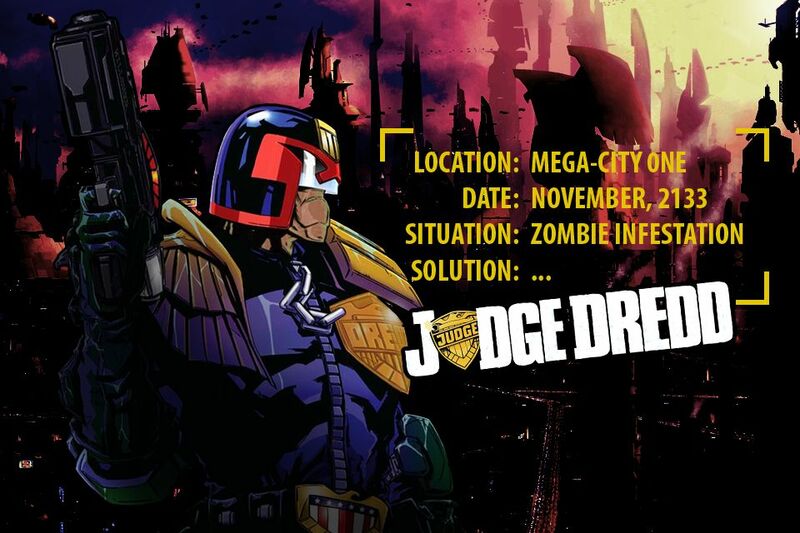 And meeting Judge Dredd legends Carlos Ezquerra and John Wagner will be a geek-tastic treat. Roll on February!" Spaceship Away goes Christmas Crazy! 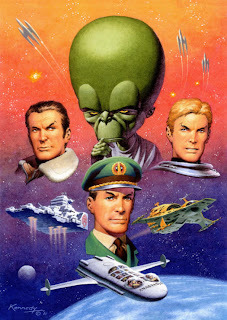 The latest issue of the Dan Dare-inspired comic magazine Spaceship Away is on sale now from the title's official web site and selected comic shops and its content harks back to the days when a comic's editorial team really made the most of the Christmas holiday, offering a tie-in cover from veteran artist Don Harley and more. 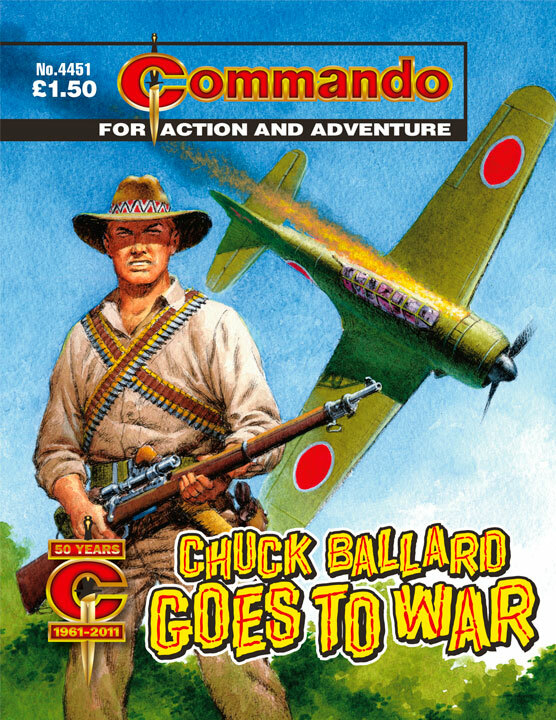 Issue 25 - kicking off the magazine's ninth year in print - include a glorious Sydney Jordan scripted, Don Harley drawn Dan Dare Christmas comic story; more adventures of the Daily Mirror hero Garth; a further Journey Into Space episode (Bruce Cornwell takes over the artwork part way through); a two page Don Harley Dan Dare strip; and the continuation of Tim Booth’s “Parsecular Tales”. 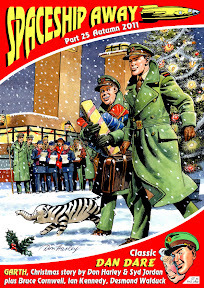 The issue, which features a gorgeous Christmas cover by Don Harley, is topped off with a new Bruce Cornwell painting on the back cover. 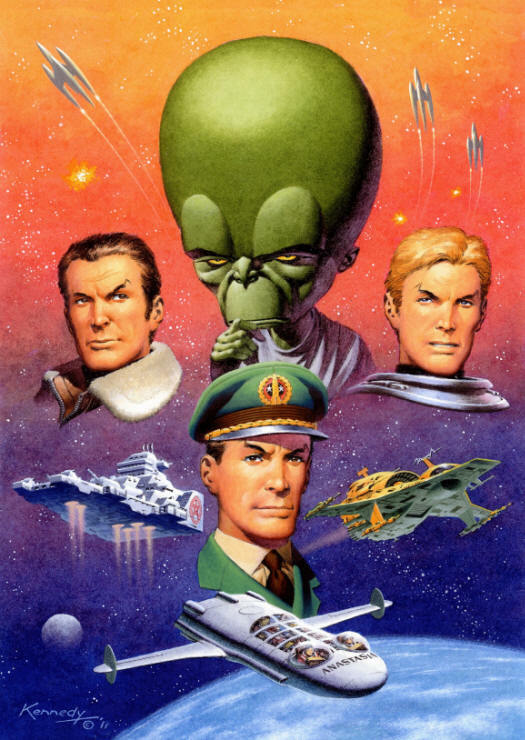 Coming in the new year is the final episode of “Pre-Emptive Strike”, an all-new Dan Dare tale by John Freeman and Mike Nicoll (who are already at work on a further classic Dare story for the magazine), along with more artwork from Graham Bleathman, Don Harley and Gerry Embleton. An exclusive "selling exhibition" of art from Alan Moore and Kevin O'Neill's League of Extraordinary Gentlemen saga opens later this month in various continental locations. In close collaboration with Alan Moore, acclaimed writer of Watchmen, From Hell and V for Vendetta, Kevin O'Neill visualises an alternative history in which a team of famous fictional characters live real lives and tackle terrifying threats to humanity. Rich with literary and artistic allusions, O'Neill's meticulous pages conjure up a fantastical parallel London from fog-shrouded Victorian mysteries to 1960s psychedelia and 70s punk. This exclusive selling exhibition at Galerie Champaka, Brussels and Galerie 9eme Art, Paris, running 15th - 30th December 2011, offers the first ever opportunity to purchase O'Neill's artwork from League of Extraordinary Gentlemen: The Black Dossier, and from the first two volumes of the new LXG trilogy, Century: 1910 and Century: 1969, the latter recently published in French by Delcourt. 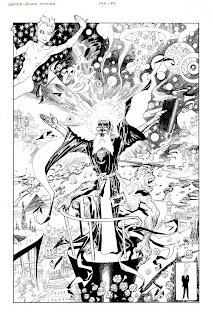 In League of Extraordinary Gentlemen, Alan Moore and Kevin O'Neill apply the American comic-book tradition of superhero teams to classic characters from nineteenth-century fantasy literature and combine their worlds into one fresh yet familiar continuum. So Miss Mina Murray, from Bram Stoker's Dracula, recruits: Jules Verne's Captain Nemo; H. Rider Haggard's Allan Quatermain; Robert Louis Stevenson's Dr Jekyll and Mr Hyde; and H.G. Wells's Invisible Man. Murray and Quatermain become immortal and maintain the League's world-saving role by inviting fresh fictional characters to join their ranks. The League's first two missions unfold in Victorian London and pit them against the Chinese villain Fu Manchu and the Martin invasion from Wells's The War of the Worlds. In subsequent 'cycles', the now-immortal Murray and Quatermain maintain the League's world-saving role by involving fresh fictional characters to join their ranks. The separate sourcebook The Black Dossier is set during the aftermath of George Orwell's dystopia from his 1948 book, Nineteen Eighty-Four, and reveals the now-disbanded League's secret history, incorporating thinly-disguised versions of James Bond, Emma Peel from TV's The Avengers and others. The third volume, subtitled Century, spans one hundred years of London in three instalments dated 1910, 1969 and 2009, each reflecting the tumultous events and imaginative culture of their period. 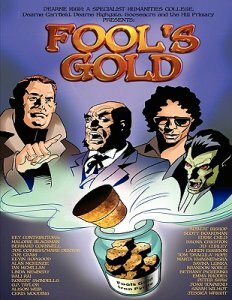 Based in London, Kevin O'Neill is best known as the co-creator of The League of Extraordinary Gentlemen with Alan Moore, as well as Marshal Law with writer Pat Mills for Marvel's Epic line, and Nemesis the Warlock for the British weekly 2000AD, also with Pat Mills. 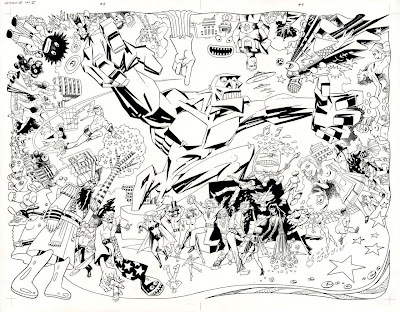 With one of the most unique and detailed styles in comics, he has deservedly earned an enormous worldwide audience of admirers. 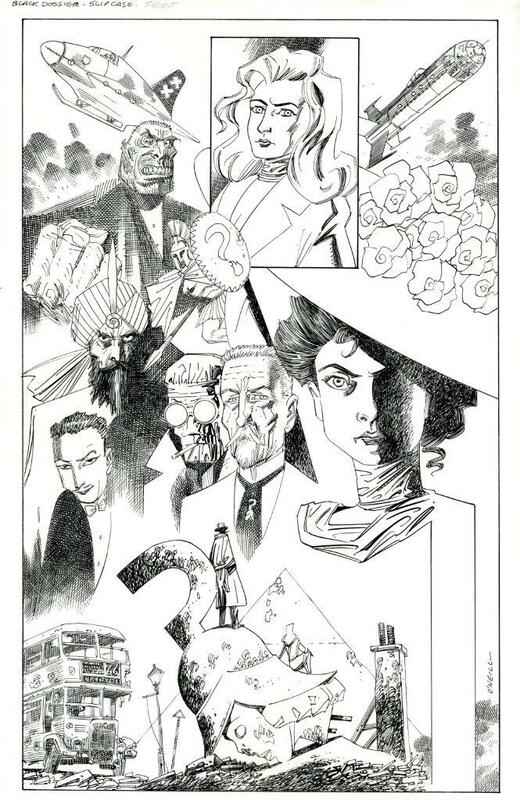 It is in League of Extraordinary Gentlemen that Kevin O'Neill reaches the apogee of his draughtsmanship and graphic storytelling. His pages evoke the intense detail and crosshatching of nineteenth-century illustration and combine a lavish sensuality with many witty references to the literature and artistic imagination of each book's respective era. His detailed artwork reveals new delights with every viewing. O'Neill is truly in a 'league' of his own. 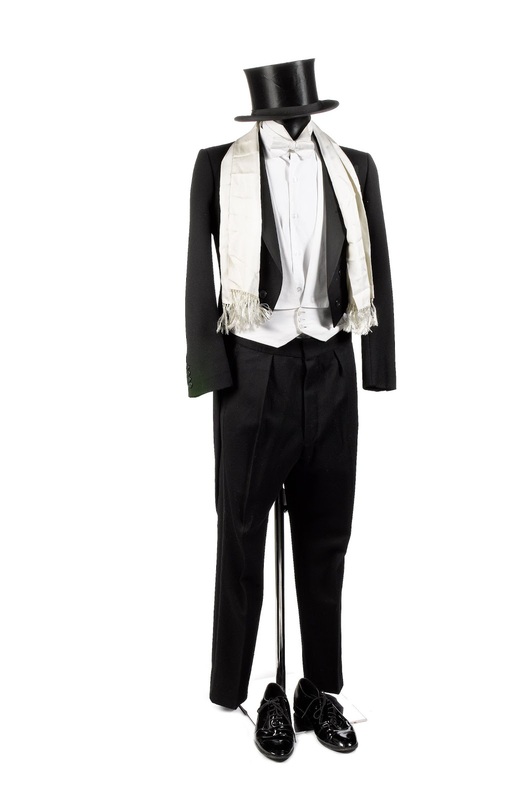 A collection of 37 costumes from recent episodes of Doctor Who are being offered by Angels The Costumiers in the Entertainment Memorabilia auction on Thursday 15th December 2011 at Bonhams, Knightsbridge, London. 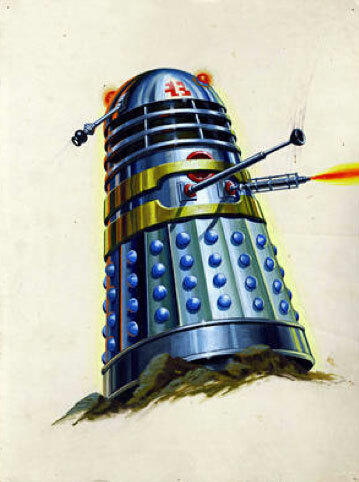 Also in the auction are costumes from other shows such as the original The Prisoner, Walt Disney animated film cels, film posters for Star Wars, Star Trek, music memorabilia and much more, including art from the 1964 Dalek Book. Angels The Costumiers is the world’s longest-established supplier of costumes to the film, theatre, and television industries. “Doctor Who is a perennial TV favourite," says Angels Chairman, Tim Angel, who, as a young costumier, first suggested incorporating the iconic, thick scarf into Tom Baker’s Doctor Who outfit, explaining why his company loves the show. "The Angels team always looks forward to working on the show because of the extraordinary diversity of costumes that are required to bring-to-life the Time Lord’s journeys. The costumes come from a number of recent episodes including The Shakespeare Code, Human Nature/The Family of Blood, Daleks in Manhattan/Evolution of Daleks and The Fires of Pompeii, and have been worn by actors including David Tennant, Matt Smith and Freema Agyeman. 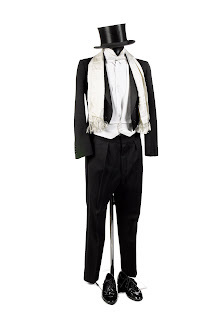 Highlights include a wedding guest outfit complete with top hat and a cream coloured silk scarf, which was worn by Matt Smith in The Big Bang, which it's estimated will sell for £1,200-1,800, a doublet and hose outfit worn by Lucian Msamati as Guido in The Vampires of Venice (£600, 700) and a three-piece suit worn by David Tennant in Human Nature/The Family of Blood (£1,000-1,500). The auction also includes a huge amount of film and TV memorabilia including costumes from the 1960s series Danger Man and The Prisoner, Walt Disney animation film cels, a Thunderbirds film poster, a 1997 Star Wars film poster, promotional poster for the 1980 Flash Gordon film, a collection of quad science fiction movie posters including Star Trek: The Motion Picture and Close Encounters of the Third Kind, a script for the fantasy film Willow and much more. 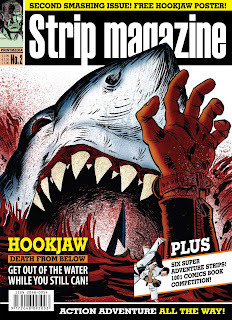 The iPad-only digital edition of STRIP Magazine #2 is now on sale from iTunes - again in advance of the print edition. Due to a small but unexpected delivery delay from Bosnia, the print edition will not be on sale until 14th December, for which publishers Print Media Productions have apologized. • An exclusive interview with comic artist John McCrea, British comics news, a competition to win copies of Paul Gravett's new book 1001 Comics You Must Read Before You Die and the new collection of Alan Grant and Arthur Ranson's Mazeworld; and a sneak preview of Crucible, one of the new strips coming up next year STRIP Magazine. 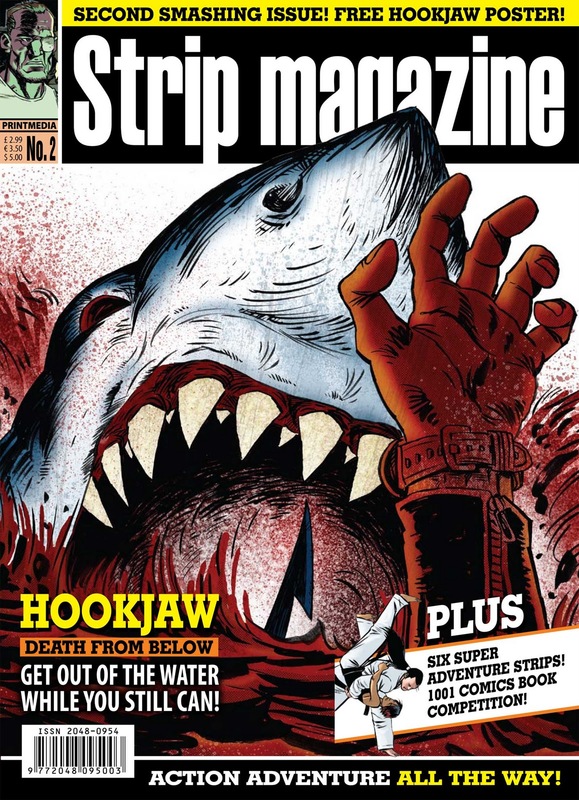 You can now subscribe to Strip Magazine online at www.printmediaproductions.com at the introductory rates as advertised in Issue 1.Until 15th December 2011, a six-issue subscription costs £14.99 including handling and a 12-issue subscription costs £25.99. 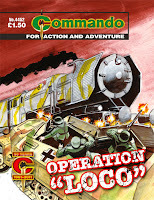 From 15th December 2011 subscriptions to the Magazine will be at the normal rate of £16.90 (6 issues) and £33.90 (12 issues). Fuse Powered Inc. and Rebellion, the owners of 2000AD, have just released Judge Dredd vs. Zombies for iPhone, iPod touch and iPad. In Judge Dredd vs. Zombies, players are the Law, taking on the role of one of the world’s most famous comic book heroes as Judge Dredd declares a (second) death sentence on invading zombies. 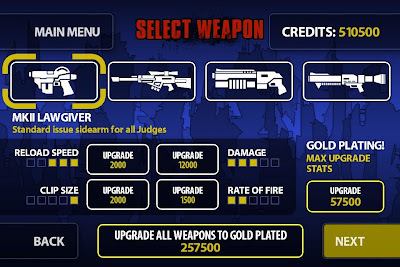 Using simple, “single-stick” controls, players shoot up zombies across thirty levels of over-the-top undead mayhem, unlocking weapon and equipment upgrades as justice is served. Judge Dredd vs. Zombies is available now on the App Store for $.99. 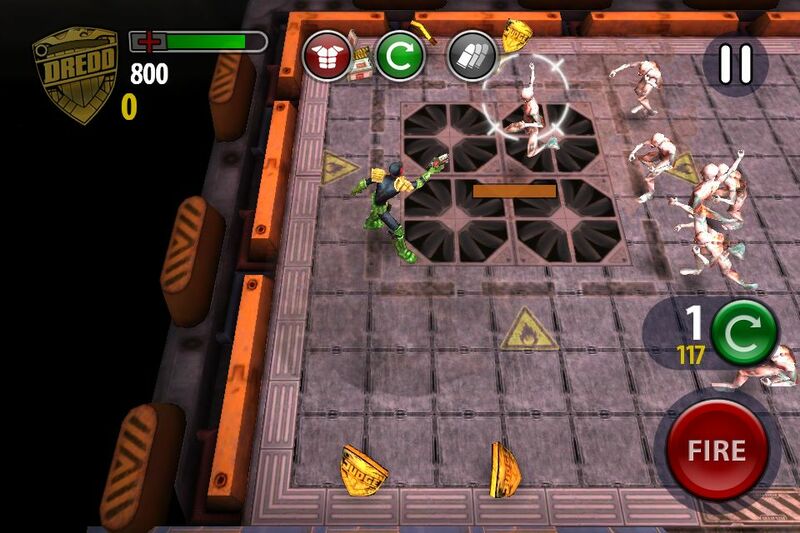 “When we met with Rebellion to discuss bringing their Judge Dredd brand to iOS, we saw right away that Judge Dredd vs. Zombies was a winning formula,” said Jon Walsh, CEO at Fuse Powered. Judge Dredd is of course none too pleased when zombies invade Mega City One and player s can help him punish these unlawful undead invaders with their Lawgiver and a devastating arsenal of powerful weapons. 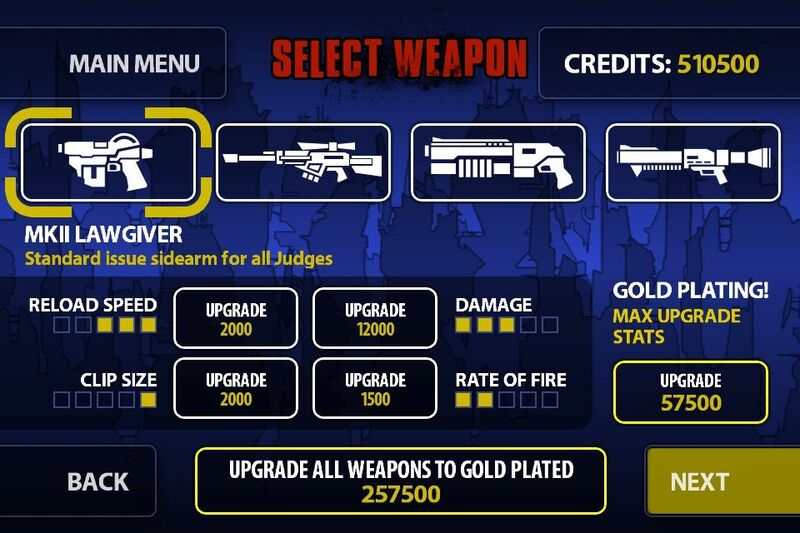 (You can increase your “Law Meter” by slaughtering the zombie horde and earn credits to unlock new guns and upgrades). • Game Centre support with 16 achievements to collect! 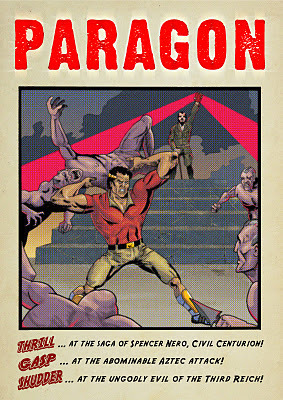 The enthusiastic creative team producing the indie title Paragon have a new issue on sale, available from lulu.com for only 99p. Paper copies are also available from there for those outside the UK, and for those within these shores, click on the image to the right to order through Paypal for £3.50 (this will save on P&P costs but take a little longer to arrive). Edited by Davey Candlish, strips include Jikan: Caves of Death, by Matthew McLaughlin and James Corcoran (lettering by the legend that is Jim Campbell); No Compromise by Alan Holloway and Davey Candlish; Rise of the Mekko-Sapiens by Matthew McLaughlin, art by Louis Carter and lettered by Dave Withers; and Icarus Dangerous Part 3 by Dirk Van Dom, art by Stephen Prestwood, also lettered by Jim Campbell. (with thanks to Bryan Talbot): Next Saturday, 10th December, Newcastle hosts its first comic convention for 16 years. The Canny Comic Con is an all day event at Newcastle City Library and entry is free. Comics, comic strips, comic books, graphic novels, manga, sequential art - however you want to refer to it, the CCC wants to celebrate everything about telling stories in pictures. Whilst it won't be on the same scale as some of the bigger UK comic conventions, they're going to have a full range of activities, including talks and panel discussions, workshops and a hall of stalls where you can meet some of the finest comic-creating talent from the region and beyond. There’s a jam packed schedule of talks and panels and guests include Viz’s Simon Donald, Marvel artist Dougie Braithwaite, Bryan Talbot and Al Ewing. Whatever your age or experience, whether you read comics, make comics, or are just interested to know a little more, we hope to have something to interest you.